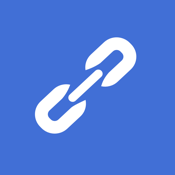 MasterLink Browser is a web browser with an unique feature: Mastering links. This allows you to 'master' any website from one bar, sparing you the endless going forward/going backward loops. Saving your time and costs on your mobile data plan! Besides this highly efficient navigation feature the grouped presentation makes exploring websites a blast, especially websites with lots of links like marketplaces etc. The instant link search will help you to find your links of interest in a fast way. Now buy one and get an astonishing browsing experience for all your devices: iPod, iPhone and iPad. Because this browser helps you navigate any website in a much more efficient way it will spare you a lot of page loads and thus time AND costs with your mobile data plan. The Master bar is a bar which presents the links from the website grouped into their logical group based on the given urls. The bar can be revealed by a single click, or by swiping the navigation bar at the top of the browser. The whole website can be navigated from this bar! Pages opened from this bar are, of course, not automatically mastered. If you want to master an unmastered website just invoke the action from the toolbar "Master links". Search the websites links right from the Masterbar, to get even more control! Save your favorite websites in the Bookmarks section for later use. MasterLink will save your history per session and help you finding back with its incremental search feature. History is not persisted. Open the active webpage in Safari. We have already new features planned, and would love to hear your suggestions!